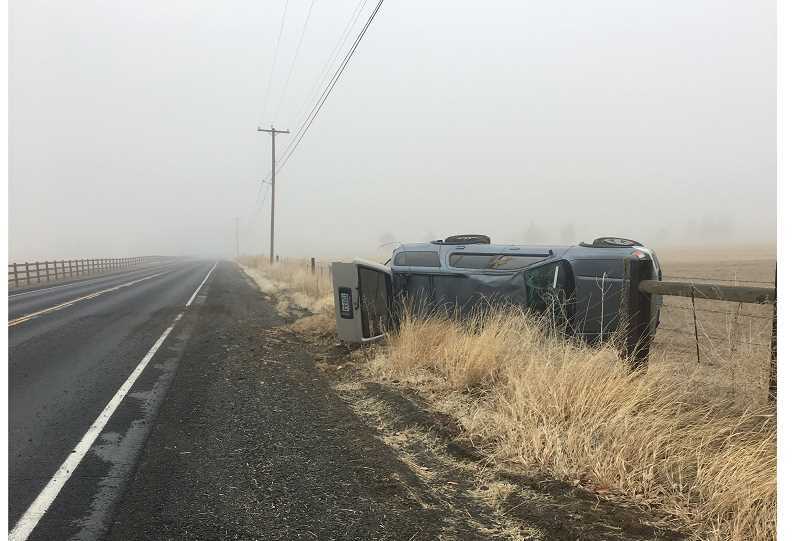 Two motor vehicle accidents occurred Tuesday morning on the Powell Butte Highway when the road was slick due to heavy fog and freezing temperatures. 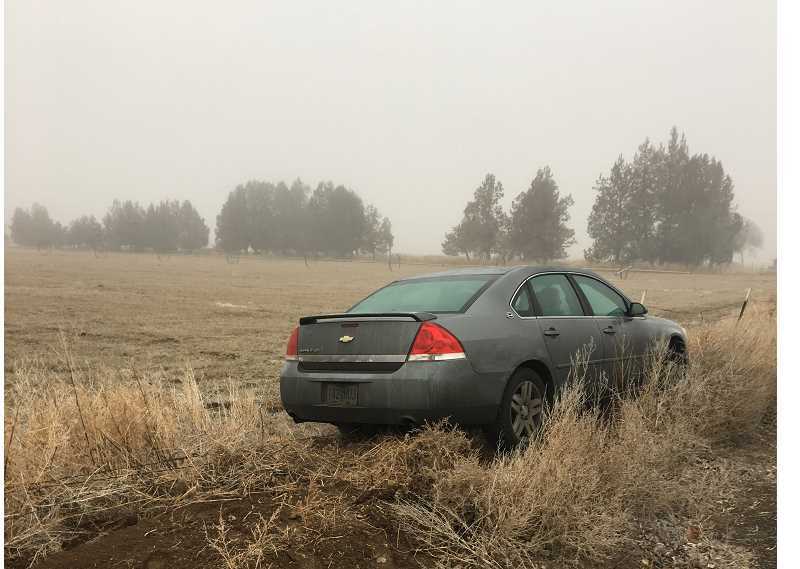 According to a Crook County Sheriff's Office media release, at approximately 7:46 a.m. Jan. 29, a deputy from the CCSO and an Oregon State Police Wildlife Trooper responded to a motor vehicle crash on Powell Butte Highway near Southwest Shumway Road in Powell Butte. An investigation revealed that a Mazda 3 driven by 29-year-old Kush Kushwaha, of Bend, was traveling inbound toward Prineville on Southwest Powell Butte Highway when a Chevrolet Impala driven by 52-year-old Sheri Baker, of Bend, failed to negotiate a corner as she was traveling toward Bend on Southwest Powell Butte Highway. Baker subsequently side swiped Kushwaha's vehicle. Neither driver was injured, and both vehicles had to be towed due to damage. Baker was issued a citation for Failure to Drive within Lane. At approximately 9:11 a.m., a deputy responded to a rollover motor vehicle crash on Southwest Powell Butte Highway near mile post 1. During the investigation, it was learned that a Toyota 4 Runner driven by 25-year-old Kaylee Stout, of Prineville, was traveling southbound on Southwest Powell Butte Highway near mile post 2. Stout attempted to pass another vehicle but lost control and traveled off the road way, rolling at least once. She was not injured, but her vehicle had to be towed due to damage. No citation was issued.